Citrine has often been referred to as the “success stone” since it is believed to promote success, prosperity, and bring about abundance. It is especially focused on promoting success in business and is believed to attract business when placed in a cash register of a store. It is a crystal associated with good fortune, although it can cause good fortune in ways that weren’t expected. It is a manifestation crystal, helping to manifest success in a variety of ways. In addition to good fortune and abundance, citrine can also help to impart generosity.It aids in eliminating all types of negative energies. It doesn’t absorb negative energy from the environment, and therefore doesn’t require energy cleansing. It has been used to removed undesirable energy from the environment. It can also help clear up family issues created from negative energy. Since it dissipates negative energy, it aids in bringing about stability in all areas, and is ideal for protection. Regarding emotions, citrine is said to help relieve depression, self-doubt, anger, and moodiness. It is a healing crystal that helps to bring happiness and joy to a person who is carrying or wearing it. Citrine is also believed to curb self-destructive tendencies and reduce fear of others’ ideas and suggestions. Citrine can aid a person in overcoming trauma and sadness. Additionally, sexuality and sensuality is augmented by citrine.In relation to the psychic and spiritual, it is ideal for general overall psychic awareness and spirituality. They can help cleanse the aura of negative energy and bad influences. Additionally, it is a great aid for for meditation. It is a crystal of protection, eliminating or disrupting all types of negative energy. It is often used for dream work, including remembering dreams. Physically speaking, in crystal folklore, citrine is thought to be good for digestion, the stomach, stopping nightmares and helping other sleep problems, liver health, muscular strength, immune system health, thyroid health, the heart, the kidneys, and helping fibromyalgia. It has also be reported to be excellent for helping to remove toxins and fight addictions. 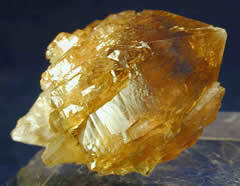 Citrine is connected with the chakra located in the solar plexus. Hey Buddy!, I found this information for you: "Citrine | The Success Stone". Here is the website link: https://accessgems.com/citrine-the-success-stone/. Thank you.